We Interrupt this Vintage Monday— for NATE the GREAT. So listen. I know we usually post our favorite vintage goodies on Monday…but today we have something a little different for you. 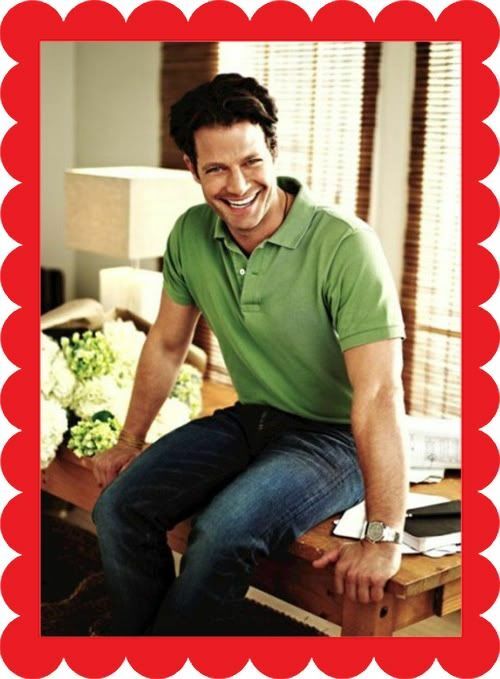 Hello cutie pie, it’s NATE BERKUS DAY! I don’t know if I’ve ever mentioned this, but I loooove me some Oprah. I tape it religiously and watch it every night. The ever-adorable Nate has always been one of my top favorite Oprah “pals.” Just in case you’ve been under a rock, he is one of Lady O’s friends (she always calls him Mr. Cutie Pie) and is a fabulous interior designer. He also loves doggies, seems incredibly sweet and has the best guy hair on TV. Just sayin’. A few weeks ago he had a tearful farewell on the show as Oprah sent him off to start his own show—The Nate Berkus Show, which will be premiering September 13th. The ladies over at Moggit (a hysterical blog, kinda like the Fug Girls but for home interiors) approached The Nate Show via Twitter and said, “Hey, you should do a show where the entire audience is filled with bloggers!” And thus, NATE BERKUS DAY was born! 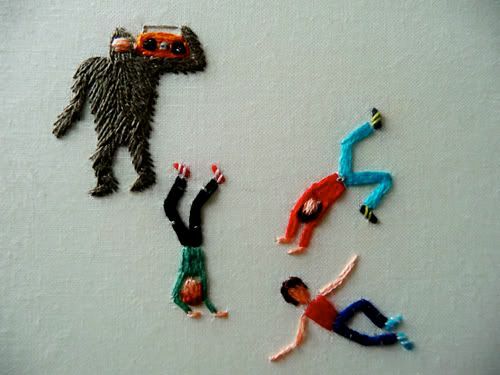 One of the things I’ve always loved about Nate’s work was his eclectic mix of styles. 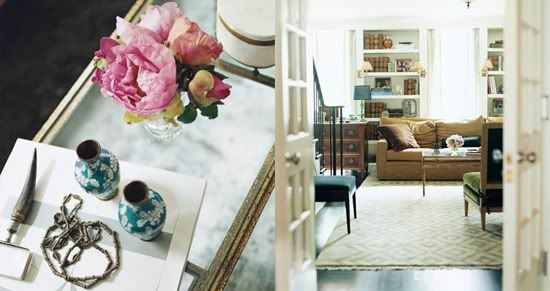 His rooms are never too fussy or formal but warm, modern, chic and LIVEABLE. He also has a great appreciation for vintage and always throws in fun eclectic pieces to give his rooms a twist. 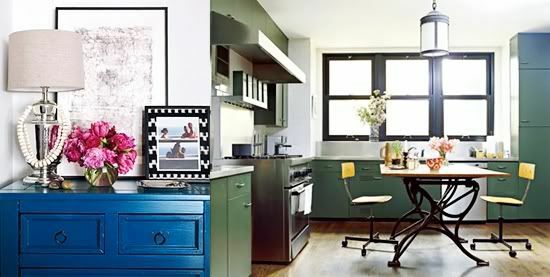 Check out his own kitchen below and that rad vintage drafting table. I love it! But really, let’s just cut to the chase and talk about Katie Lee Joel’s bathroom. More specifically THE TUB and THAT chandelier! Hellllllllo glass of wine and quiet time for mama!!! Gorgeous, huh. So Nate has a few simple rules when it comes to decorating and we thought it would be fun to take a look at some of our favorites and see how our kiddo rooms stack up! NATE TIP #1: Hang something other than artwork on your walls, like antique objects or your favorite collectibles. We love this tip! Hanging vintage dresses, aprons, record albums—even the records themselves!—is a great way to bring personality to your little one’s room. 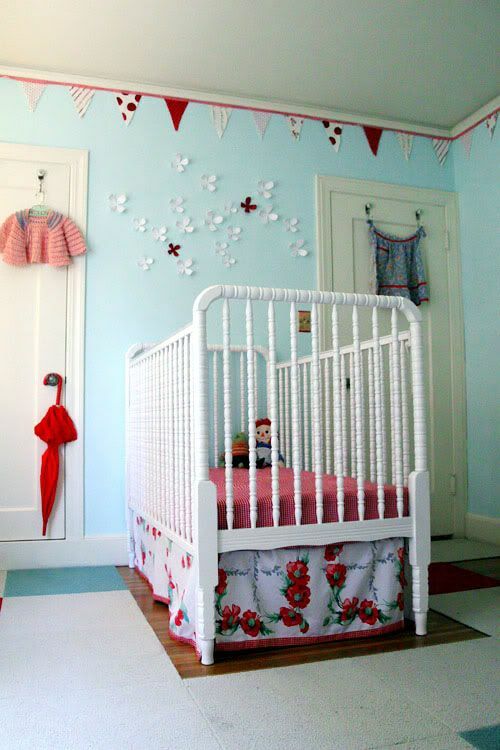 See more of Georgia’s adorable room here. NATE TIP #2: Live bold, but start small. Another great piece of advice. Don’t be afraid to experiment, but try it out in small doses. 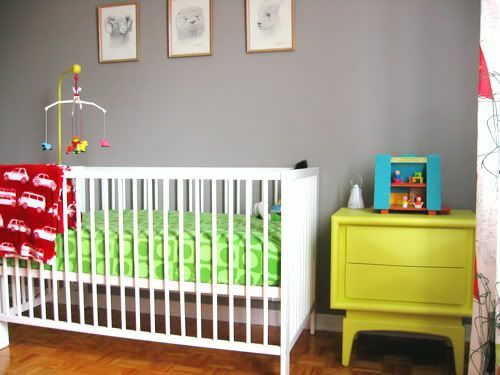 Remember this amazing grey and green nursery from Virginie in Montreal? Who would have thought that grey would work for a baby nursery? Yet it does! 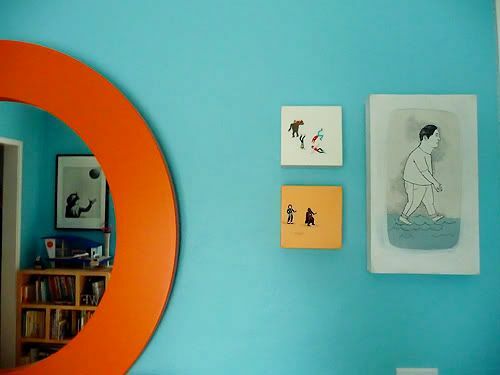 And the big bold pops of color come in small doses, making this a totally warm, sweet but utterly modern space! 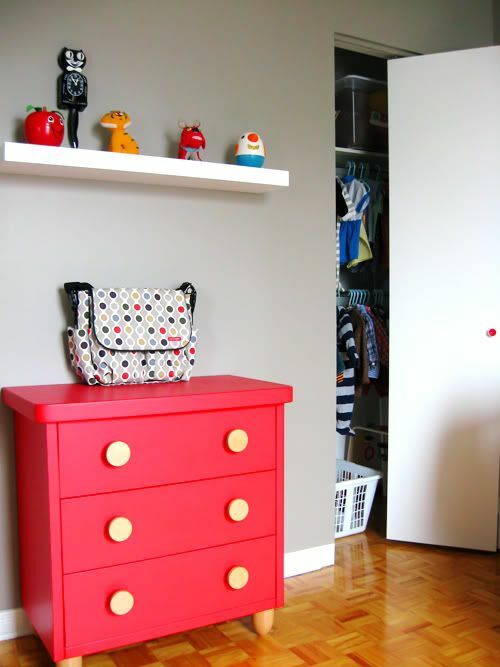 While the original tip probably referred to things like grandma’s good china, we interpret it to mean, don’t be afraid to have grown up “nice” things in your child’s room. We’re not talkin’ your prized collection of razer sharp Japanese katana swords, of course, but we think grown up art or and even grown up furniture (like a mid-century dresser) can look dandy—and totally appropriate! 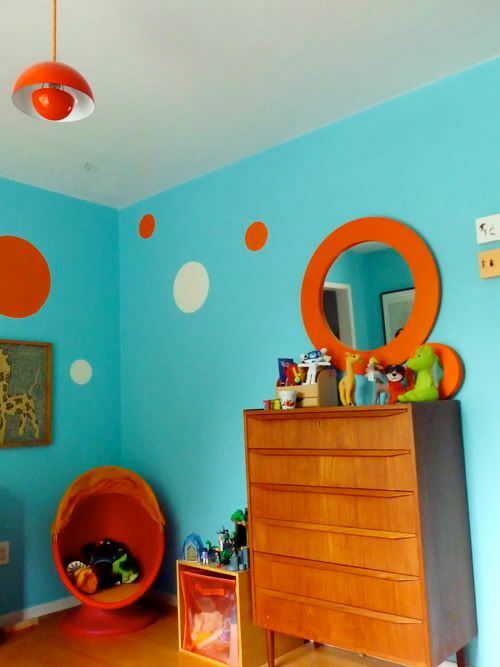 See more of Wolfie’s funky space here. And finally, NATE TIP #4: Bookcases aren’t just for books anymore. If you never saw this post, do yourself a favor and check it out here! Be sure to tune in when The Nate Berkus Show airs September 13th, 2010 on ABC. PS. Special thanks to Julieann of CreateGirl who dreamed up the idea for NATE DAY and got the attention of Mr. Berkus to begin with! PPS. Vintage Monday is being pushed to tomorrow so look forward to a VINTAGE TUESDAY! 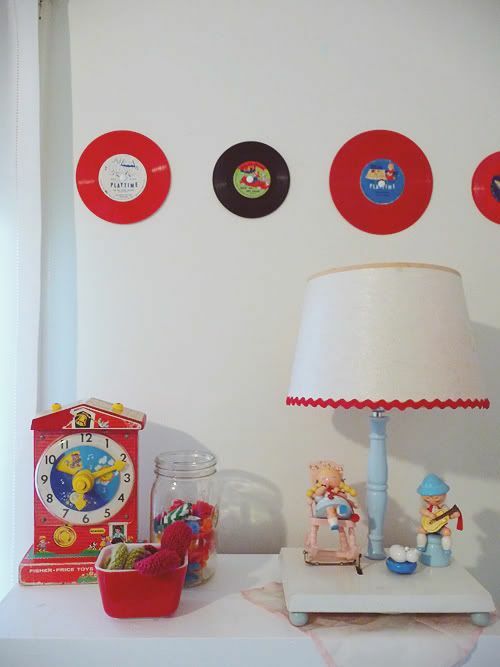 We’ve got our usual Retro Round Up of fun vintage kiddo clothing as well as a Vintage Toy post that is not only fun but will give you some more cool decorating ideas for your sweet kiddo’s room! Posted in Kiddo Rooms, Things We Like. 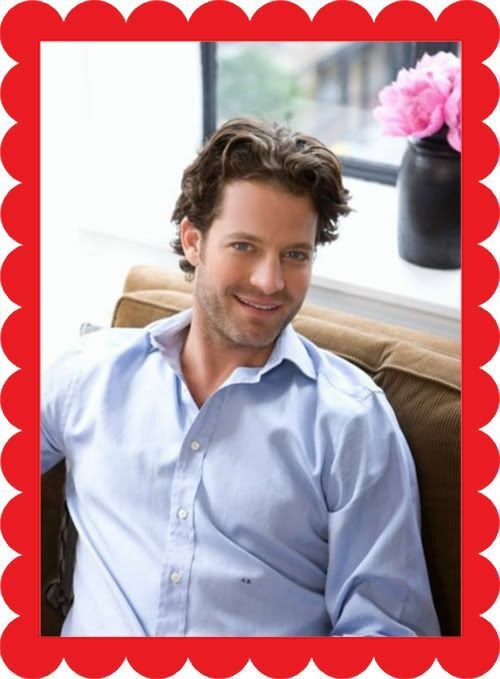 Tagged with Nate Berkus fan club, nursery design with vintage, Oprah, top design blogs. alix, i didn’t know you recorded oprah and watched it at night, i should have know though. i started this practice when she interviewed Whitney and i am HOOKED. i hope that her show comes out on DVD so we can explore the 80s goodness! 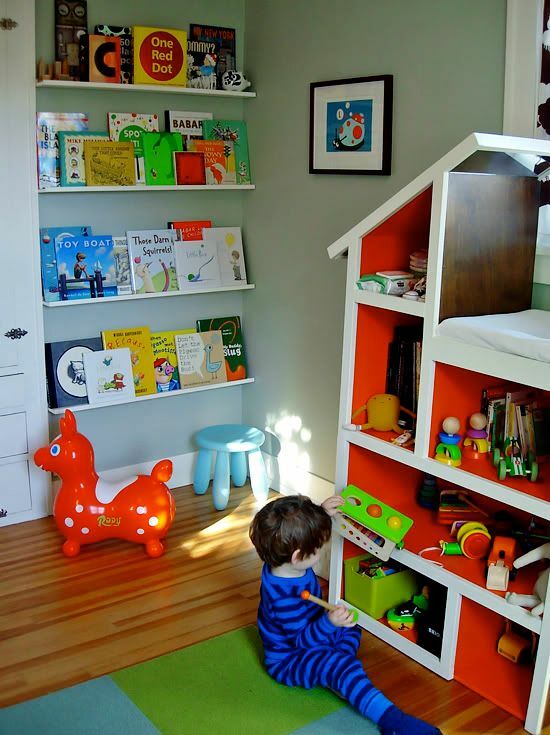 i am always amazed by the gray nursery and i absolutely adore the book wall in that last pic! You are too cute! Too bad I missed the boat on kids interiors- now I cannot get on the show! Nate? Do you love kids clothes?? I love mah Oprah…..Greg teases me mercilessly but I swear ta gawd I’m always intrigued or inspired. Also, the woman GETS IT DONE. She featured the FBIs Most Wanted pedofiles on the show with the call to arms, “If you have seen any of these men, REPORT THE AUTHORITIES. If your tip pays off I will personally give you $100K.” And she did and dammit if she didn’t catch, like half the list within months. AMAZING. I think Nate is adorable but he also just seems like a cool guy to hang out with. How hot if he invites all the bloggers to his show??? Whooo hooo! what a great post! i love how you show how to incorporate his ideas into your own space. Oh, I love me some Oprah–she is totally a GSD kinda gal, but I love her humility the most. She’s always willing to break it down. And could we talk about the Nate character for a moment, because I see a big ole Dottie crush on him. When I saw these photos and others, I realized I’ve loved his work for ages! 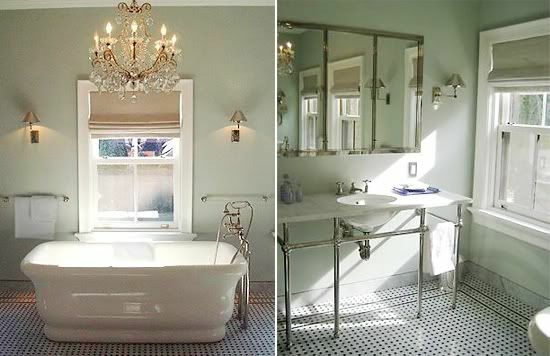 He started the chandelier in the bathroom trend,which is so genius. Well played, Nate. Well played. ok, now i HAVE to get tivo! God forbid i miss an episode of that lovely man’s show! and who doesn’t love a chandelier in any room?! i love nate! and yes he is great! i have blogged about him too. if he showed up on my door step…well, i would do a lot of things, but basically i would just die. sorry i missed the oprah episode about his new show. i too am a huge fan of hers, but since she announced her future departure, i think i have gone into a little bit of a self-preservation mode, so that i will not be so crushed in her final days( as in i have not been watching as religiously as i have in the past). I love me some Steadman. He lives with the woman who GETS IT DONE. 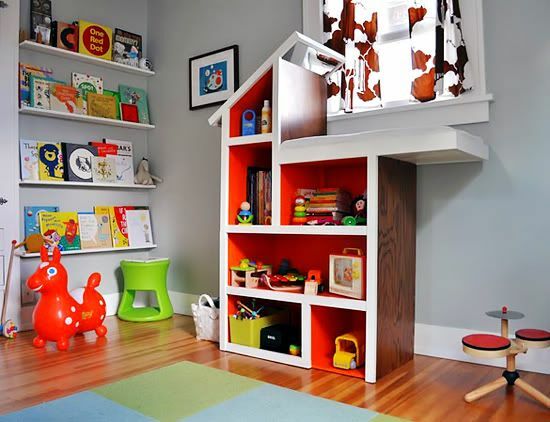 And that Nate is a regular Harry Connick Jr.
Ohhh I LOVE this post and how you incorporated the kids rooms into it! YES Nate has livable rooms and isn’t that so refreshing? Thanks so much for participating in our NateDay, it was so much fun finding blogs like yours!